MMA Fights Pasadena - Proving Grounds 9 | MMA Fighting Events Videos Techniques UFC Fight Picks and News. Savant Young's Proving Grounds, held at The Fight Academy in Pasadena, California, held its ninth edition on May 4. A special prelude to this edition of Proving Grounds was "Grassroots", a youth Pankration event. Those fighters might be young, but they brought intense, crowd pleasing action. Their hard work outside of the cage definitely showed inside the cage. 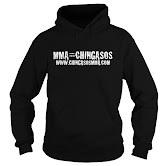 Proving Grounds 9 featured eight intense MMA fights, including one with women throwing chingasos. Power 106's own Yesi Ortiz took charge of the mic and was the MC for the night. As a special bonus for the two fighters throwing chingasos in the main event, the best referee in the business, Herb Dean, refereed their fight! The following gyms all had at least one fighter step into the cage for Proving Grounds 9 (in alphabetical order): Adrenaline Fight Club, Brazilian Top Team Orange County , Fight Academy, Gracie Barra, Mihaj Valuro MMA, NZT Pankration, Sityodtong, SoCalMMA, Submission Factory, Team Sweatshop, Team Taylor Fitness. Ma put up a good fight and did an excellent job of defending submission attempts, but Guzman had too much for him. 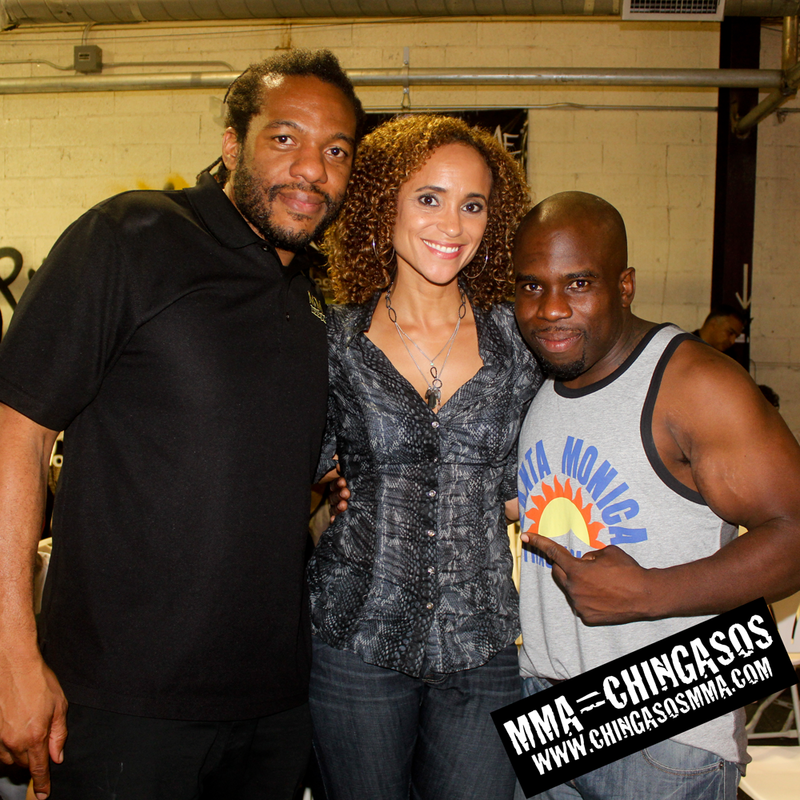 Guzman was aggressive with his wrestling and his submission attempts. Sean Guzman wins via unanimous decision. When the fight was over, everyone in attendance knew that this would be fight of the night. Naboroski came out strong and dominated round one. Bermudez came back with a vengeance in round two, and nearly finished the fight with vicious ground and pound. Naboroski gathered himself and came out charging in round three. Bermudez waited and dropped him instantly with a brutal chingaso. Naboroski somehow survived, and to the crowd's astonishment, came back to catch an Americana on Bermudez. Martin Naboroski wins via Americana submission. This was a good back and forth battle, and a tough one for for the judges. Both fighters brought the heat, and both fighters had their moments. Eduardo Estrada wins via split decision. These two ladies proved that women are just as exciting cage warriors as the men. This was an excellent fight that could have gone in either direction. Neither fighter sat passively inside the guard, with both women landing chingasos from inside the guard. Diana Manzanares wins via split decision. Perez was able to get two takedowns, but Lloyd used the cage to get back up each time. Lloyd was able to get a throw then landed a vicious chingaso for the KO. Eddie Lloyd wins via knockout. Bañuelos got the better of the wrestling on this night. Macon did show, however, that he has exciting kicks, but Bañuelos was able to dodge them. Michael Bañuelos wins via majority decision. Jones dominated the majority of the fight. He went for a submission attempt in round one then let his hands loose in round two. Elliot Jones wins via TKO. When two of the biggest men in the building step into the cage, you know some chingasos are on the way. Okeke came out aggressive, throwing hard chingasos. When Quintero slipped, Okeke pounced and went after him. Quintero was able to get the sweep, and end round one with ground and pound. In round two, Quintero got the takedown and unloaded the ground and pound once again. Herb Dean gave Okeke plenty of opportunities to get back up, but he stopped the fight when Okeke was not able to defend himself. Check in on for upcoming MMA events in the Los Angeles area as well as UFC main event fight picks and fight previews.